Savannah Downtown Neighborhood Association (DNA) will host a Forum for candidates running in the May 20, 2014 election for President of the Savannah Chatham County School Board. 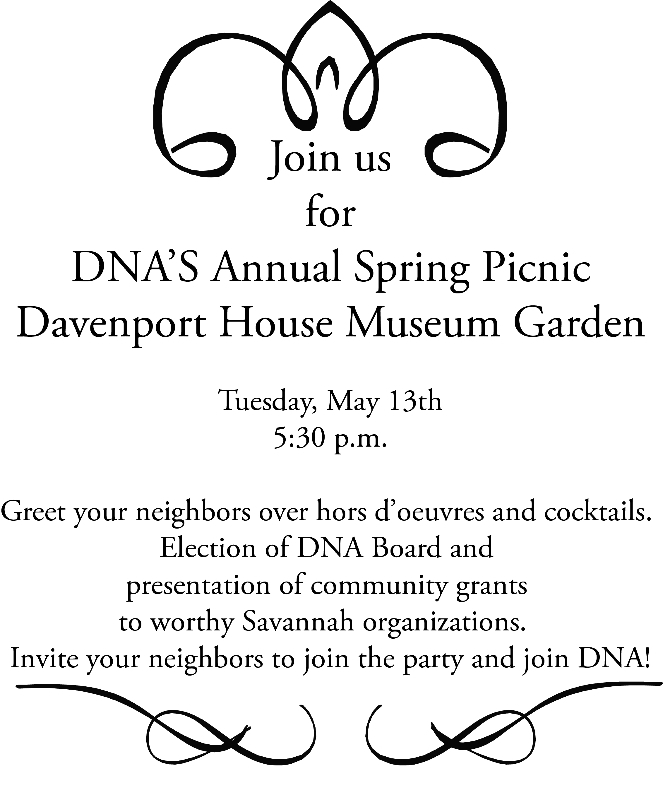 The event is open to non-Downtown Neighborhood Association Members who are invited to join the organization in person or online at SavannahDNA.org. For non-members wishing to enjoy the catered cocktail hour, there is a suggested donation of $5 at the door. DNA’s Mission is to enhance the quality of life in the Historic Landmark District, protect Savannah’s unique downtown environment, and advocate public policies; which support these objectives. We protect the Landmark District’s architectural heritage, encourage restoration & beautification, and support local organizations that enhance the community through aid to Savannah’s citizens, education, safety, music, and children’s activities. SAVANNAH, Ga. – Historic Savannah Foundation, a leading preservation organization committed to preserving and protecting Savannah's heritage, is pleased to welcome award-winning preservationist, Donovan D. Rypkema, to Savannah’s Preservation Festival on Thursday, May 8, 2014, at 6 p.m., to lead a lecture on the economic impacts of historic preservation in Savannah. The lecture will take place at Arnold Hall, located at 1810 Bull St., and is free and open to the public. Following Rypkema’s lecture, Carey will facilitate a panel discussion on preservation, development and neighborhood revitalizationundefinedfocusing on how the public and private sectors can collaborate in spurring those initiatives. Rypkema will be joined by Ben Carter of the real estate firm Ben Carter Enterprises and Becky Wade of the Community Development Department for the City of Knoxville, Tenn.
Rypkema is the principal PlaceEconomics, a real estate and economic development consulting firm in Washington, D.C., and specializes in services to public and non-profit sector clients who are dealing with downtown and neighborhood commercial district revitalization and the reuse of historic structures. Rypkema also established the Heritage Strategies International, a new firm created to provide similar services to worldwide clients, and teaches a graduate course in preservation economics at the University of Pennsylvania. In 2012, he was awarded the Louise du Pont Crowninshield Award by the National Trust for Historic Preservation, the organization’s highest honor, for his work in the preservation field. PlaceEconomics is currently undertaking an impact study on the effects of preservation on Savannah’s economy for Historic Savannah Foundation. The Savannah Preservation Festival will take place in Savannah on May 8-10, 2014. Ticket packages are available at www.myHSF.org. An All-Access Pass, which includes admission to all events as well as a discounted HSF Preserver Membership, is $250. A 20% student discount is available on all ticket prices. 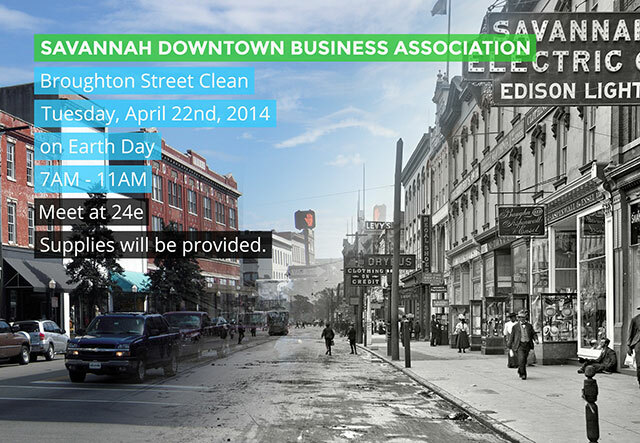 For more information, please contact preservationfest@myHSF.org or call 912.233.7787.